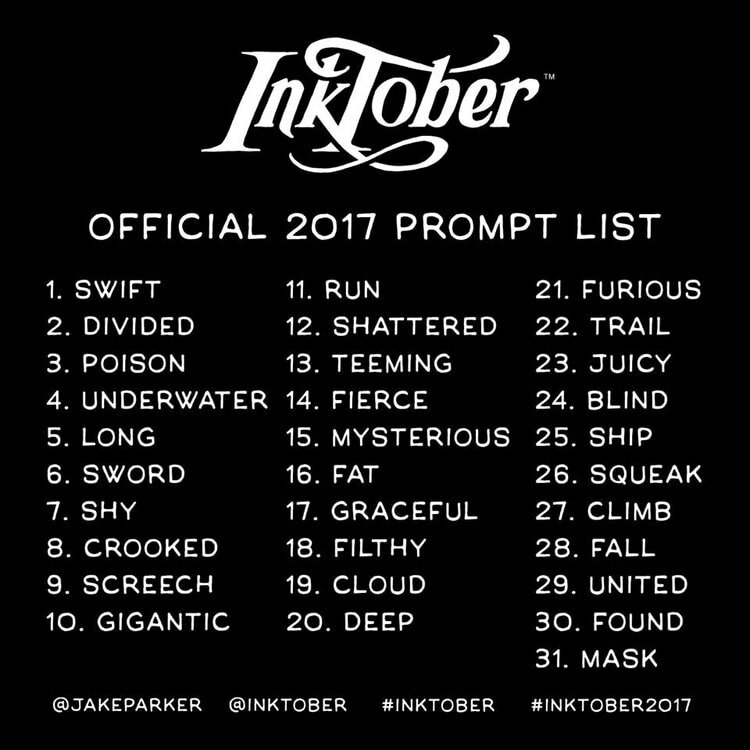 Inktober is an annual drawing challenge taken on by artists all over the world. The project is to create an ink drawing for every day in October in order to hone your skills as an artist. Below is the prompt list for 2017 as well as my own drawings.